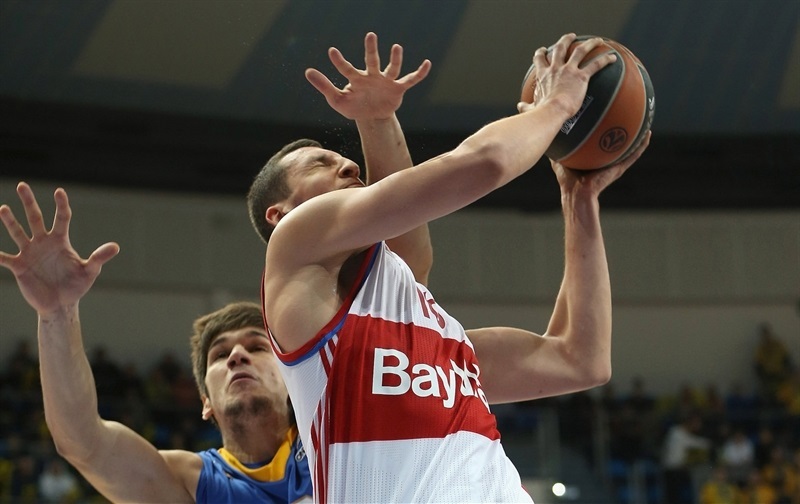 FC Bayern Munich got back to its winning ways and bolstered its Top 16 chances with a resounding 70-81 road win over Khimki Moscow Region in the Round 7 opener on Thursday. 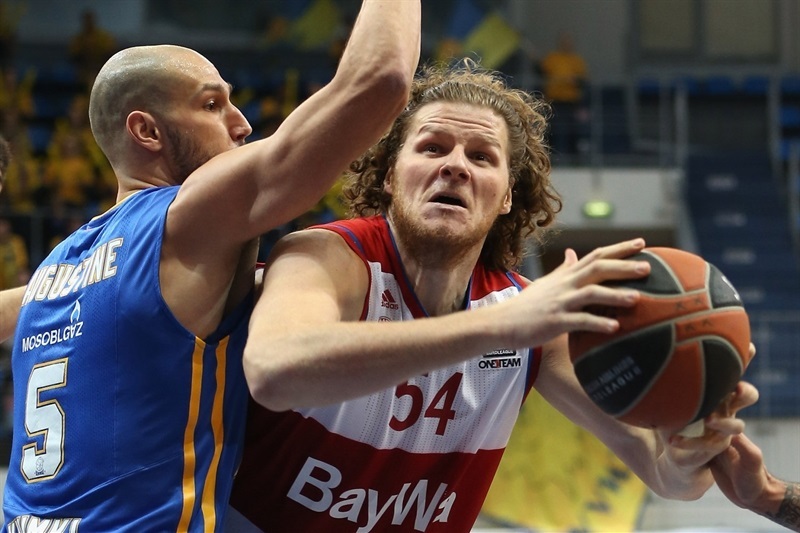 Bayern not only swept the regular season series against Khimki, but also snapped its three-game losing streak and improved its record to 3-4 record in Group A, while Khimki dropped to 4-3 and remains in the sole possession of second place. 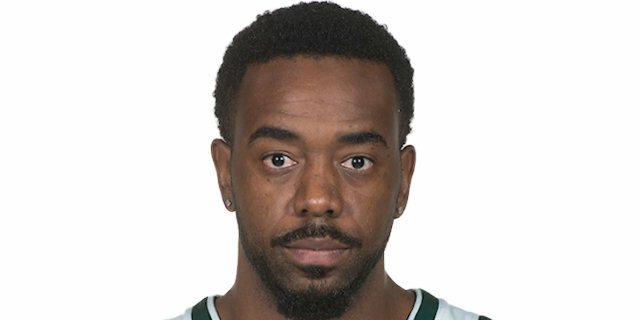 During the 40 minutes, Bayern only briefly trailed early in the first quarter, before John Bryant fueled a run that built a 14-23 lead, and three consecutive triples late in the second quarter helped Bayern to a 30-42 halftime margin. Khimki melted the deficit after the break, but never got closer than 54-59. 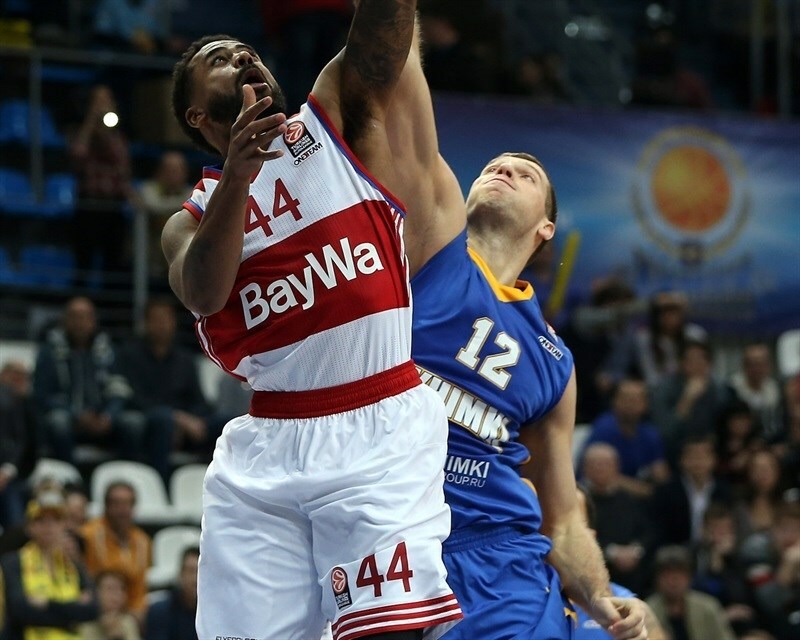 Alex Renfroe strung together 7 points in the fourth and Bryant finished off the hosts as he paced Bayern with 17 points and 6 rebounds. Renfroe finished with 14 points, Dusko Savanovic chipped in with 11 points, 6 rebounds and 3 steals, while Paul Zipser added 10 points in victory. 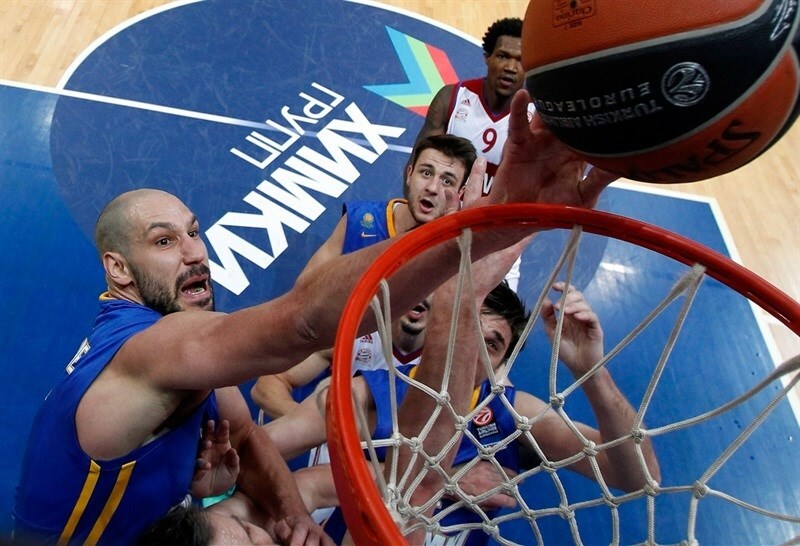 James Augustine collected 14 points and 8 rebounds for Khimki. 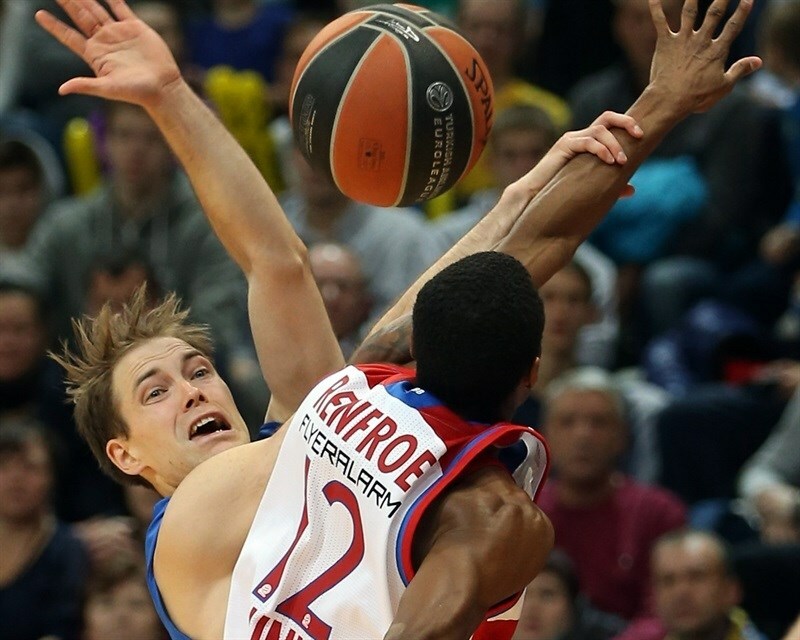 Zoran Dragic and Petteri Koponen netted 11 apiece, while Sergey Monia scored 10 in a losing effort. Bryce Taylor drove for a layup to open the scoring and Savanovic made 3 of 3 from the foul line, giving Bayern a 0-5 start. Khimki went almost three minutes without a basket, but Tyrese Rice and Monia each hit a triple to make it 8-5. The visitors quickly restored their lead, as Deon Thompson made a short turnaround jumper and Zipser finished a fast break with a dunk, 8-11. After a timeout, Koponen nailed a corner triple, but Zipser knocked down a long baseline jumper, and added two pairs of free throws, stringing together 6 points and making it 11-17. Bryant made a layup, forcing a Khimki timeout, and after Tyler Honeycutt buried a triple, Bryant scored inside and then made a short jumper to make it 14-23 after 10 minutes. Alexey Shved assisted Augustine for a layup at the start of the quarter. Nihad Djedovic answered with a layup of his own, and after Augustine’s put-back, K.C. Rivers hit a short jumper and Savanovic added to the visitors’ tally, opening up a double-digit lead, 18-29. 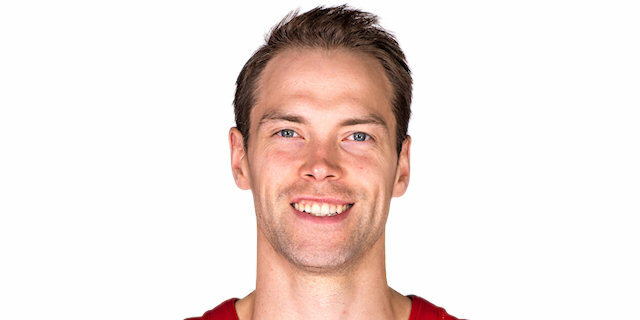 Dragic banked in a triple on the other end, and after a put-back from Augustine, Dragic made a driving layup that capped an 8-0 run and got Khimki within 26-29. 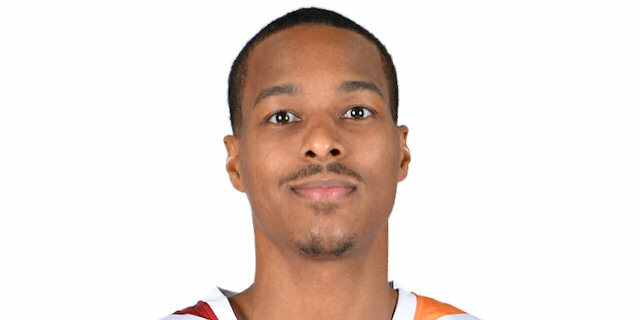 However, Rivers scored a fastbreak layup for the visitors, and Dragic had one for Khimki. After a Bayern timeout, Djedovic nailed a three-pointer, and Bayern held the hosts without a basket for more than three minutes, while Bryant and Renfroe knocked down back-to-back threes to open a 14-point lead, 28-42. In the final minute, Augustine’s layup snapped a 0-9 run, and made it 30-42 at halftime. Taylor’s free throws started the quarter before Koponen hit a triple. Djedovic nailed a jumper for Bayern , and after Augustine scored inside, Renfroe banked in a runner. After almost two minutes without a score, Renfroe banked in another runner, pushing the margin to 35-50 midway through the third. Monia had a put-back-plus-foul that cut the deficit to 10 points, but Thompson hit a jumper that made it 40-52. Marko Todorovic scored a layup, and after Zipser hit a long jumper, Egor Vyaltsev replied with a triple, 45-54. 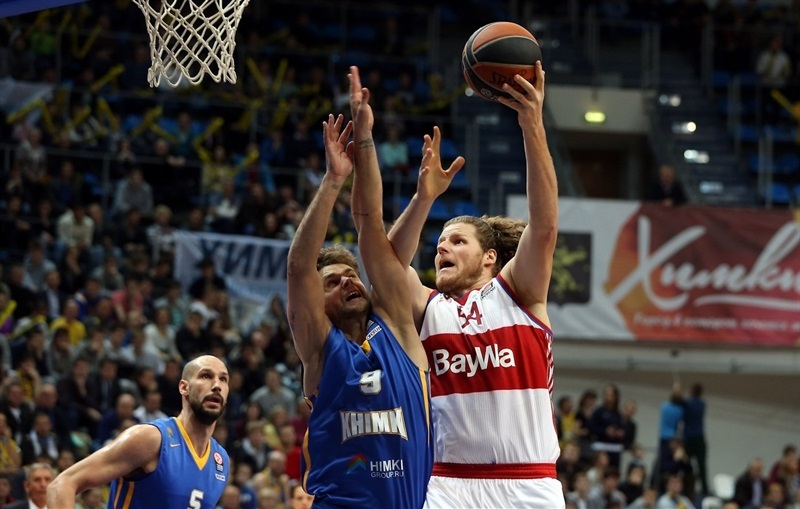 Thompson hit another long jumper for Bayern, and Rivers buried a three-pointer, restoring a 14-point margin. However, Khimki scored the last 6 points of the quarter, as Augustine scored inside, and Koponen made a runner that cut it to 51-59 after three quarters. Rice’s three-pointer opened the quarter, but Renfroe banked in another runner and followed it with a triple to open another double-digit lead, 54-64. Renfroe continued his own 0-7 run with free throws, before Koponen snapped it with a three-pointer. But Bayern kept making defensive plays, not allowing another point for almost three minutes, while consecutive layups from Savanovic and Bryant opened a 57-70 margin. After a timeout, Augustine had a tip-in, but Bryant answered with a put-back. 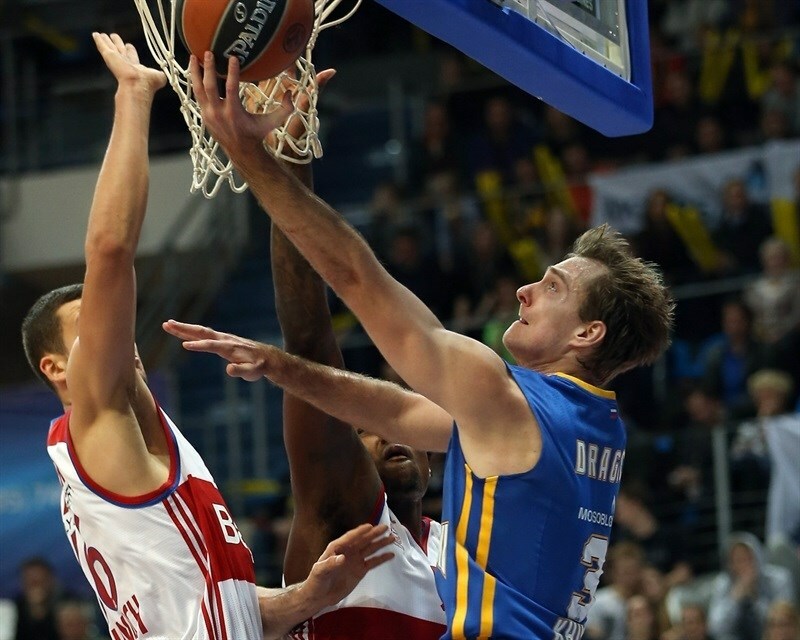 Monia kept Khimki’s hopes alive with a baseline jumper, but Bryant made a pair of foul shots. Shved scored a fastbreak layup that cut the deficit to 64-74 with 2:27 to go, but the hosts scored only 1 point on their next three possessions, while Taylor drove for a layup, before Bryant made a second-chance dunk with 53 seconds remaining, essentially sealing the outcome. "I want to congratulate the Bayern team for their good game, their good aggressiveness, their good discipline. For sure, they deserve to win. I think we didn't give enough effort on the court, enough energy. And for sure the biggest problem now on our team, we lost Paul Davis and Marko Todorovic. He's not fit to play basketball now, and this is the biggest problem. For sure, the numbers tell us we lost 20 rebounds in this game. OK, for sure we missed a lot of shots, but the reason that we lost was the rebounds." 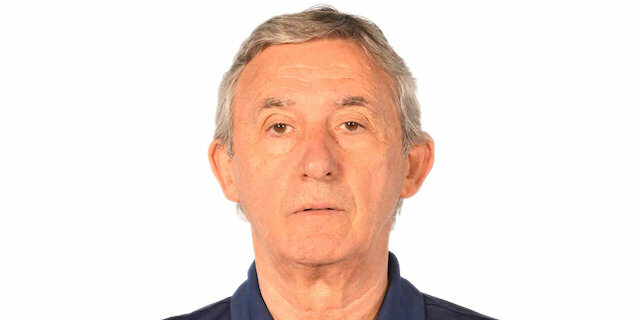 "I think that if you play against Khimki, which is an offensively oriented team, with very good transition to offense, it is basic for that game your defensive transition and control of defensive rebounds. We did that especially well in, let's say, the first 20 minutes. We played excellent. 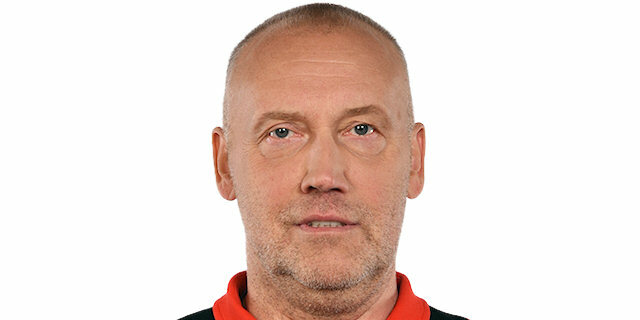 And I think with this attitude, good organization on defense and controlling rebounds, we built our confidence and Khimki had more problems with organization on offense... This is our record for the season in defensive rebounds, with 34, and with 15 more on offense, so almost 50 total. This is the product of very good organization on defense. I cannot remember more than one fastbreak for Khimki, in the first half. The rest we controlled. I'd like to congratulate my team. For us, this was important. We played some very good games in Euroleague, away against Fenerbahce and Real Madrid, but in the end we didn't have enough energy to finish with a victory. The players were very disappointed, but now they can take pride in earning this victory. You could see their intensity and investment from the first to the last minute." "They were better that us today. We were not aggressive enough. I think we had some problems with confidence and we didn't make some shots. We looked pretty slow in offense and defense. The opponent was faster and better. We played a bad game tonight. It looked like we didn't know what to do if we took a pass or shot. It's not over yet. We need to bounce back as there are some games left and we need to be ready for them. Of course, our goal was to win all our home games and now we cannot change anything. We need to look for what we can do better and make sure that won't happen again. 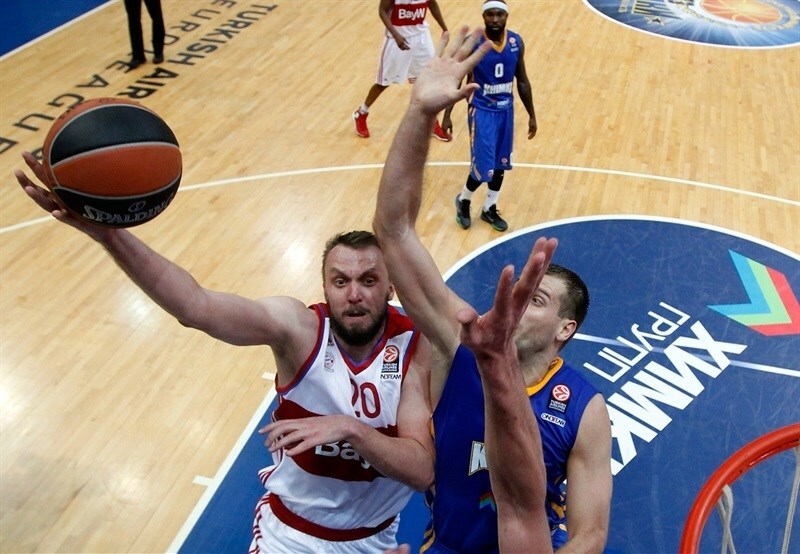 We need to get some confidence and be ready to win our next Euroleague games." "We had a good start and stayed with ourselves. We found the way to win in the end due to our defense, rebounds and shots. Both teams fought hard and eventually we came out with a good win. We want to go to the Top 16. It was good for me to see familiar faces. It was a great time to be back in Russia." 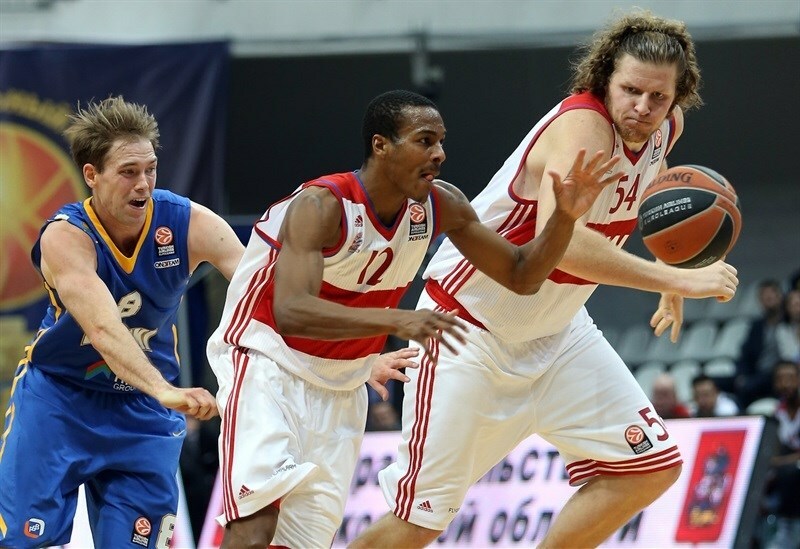 "We know that Khimki is a tough team. We came out here and gave all the fight we had. We've come through some rough times, some games before this where we've been on the short end and lost some games in a row. So it was very important for us to try to get some momentum and try to keep it for the rest of the game. I had some scoring that came in the flow of the game. My teammates gave me confidence. I know they support me, and they told me to drive to the basket. I just try to do my best. It was an important win for us."